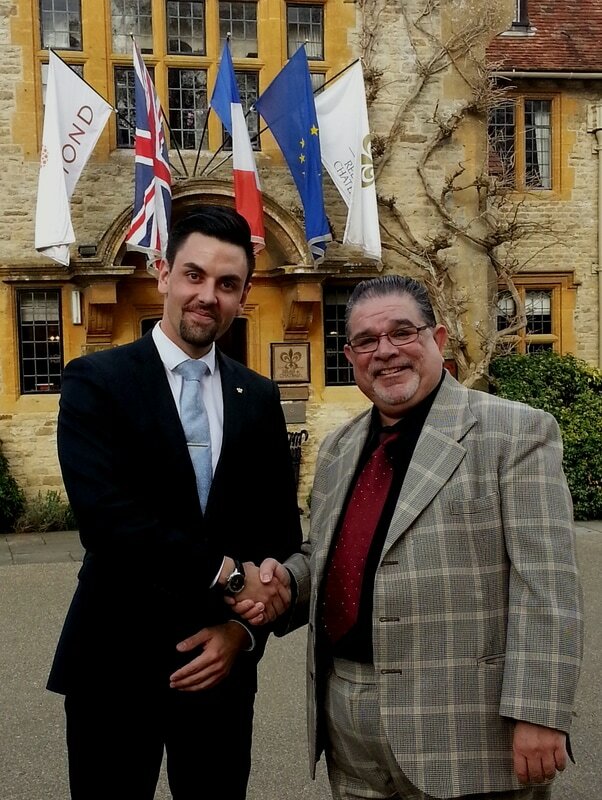 Eugene is one of this countries top comedy magicians and President of The Magic Club of Great Britain. He is an after dinner and Motivational speaker. He has been entertaining audiences for over 25 years with his unique style of comedy, magic, fun, laughter and audience participation. ​As a motivational speaker he gives talks in education and is always in demand with Women's Institute, Rotary & Round Table clubs. 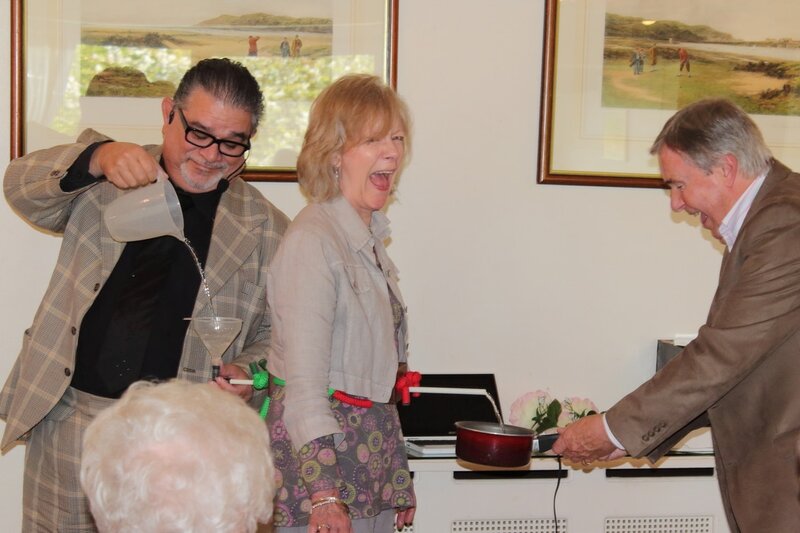 At weddings Eugene performs Mixing & Mingling magic, Drinks reception and Close-up table magic. 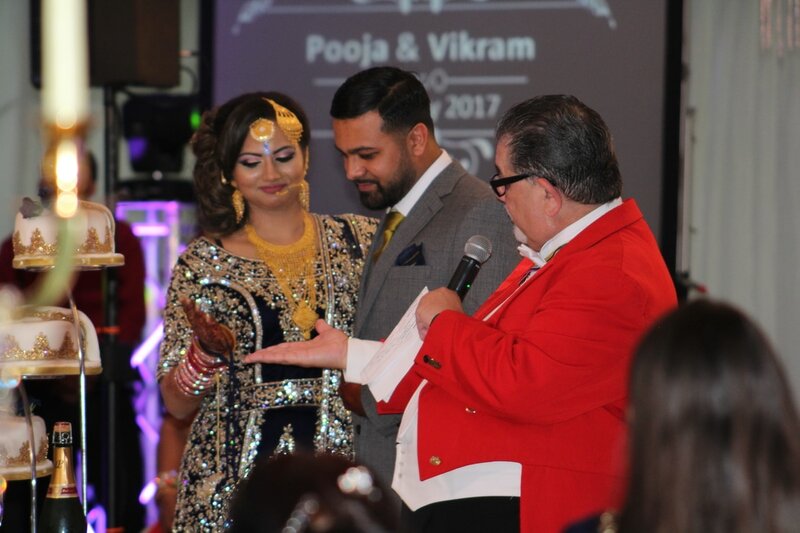 He offers complete themed Corporate magic event, which includes Mixing & Mingling magic, Close-Up table magic during a meal. He is then your Master of Ceremony for the event ie. Award Ceremony, Gala Ball, or Guest speaker evening. 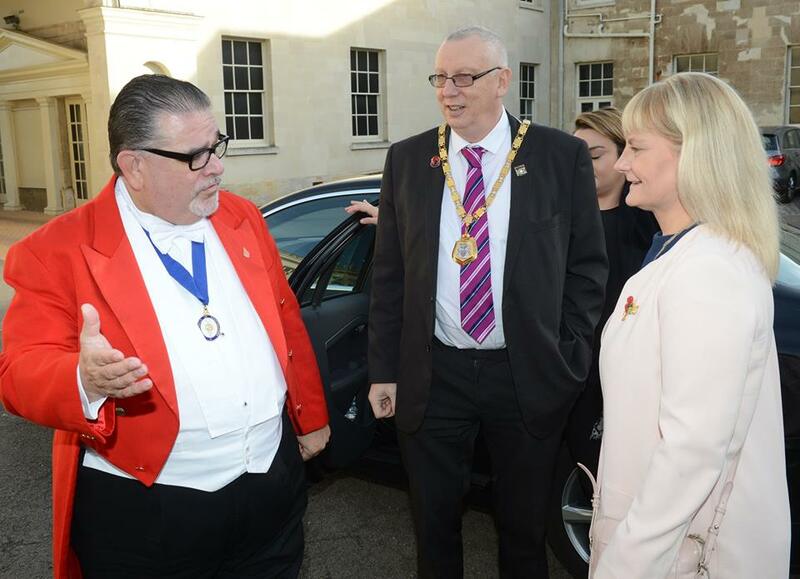 Eugene has received the Freedom of the City of London for fundraising. Rotary Club's, Round Table, WI meetings. Magic events for Restaurant & Hotels. Sales Conferences & Product Launches. 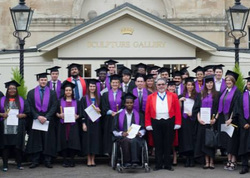 Graduation day for Milton Keynes College. 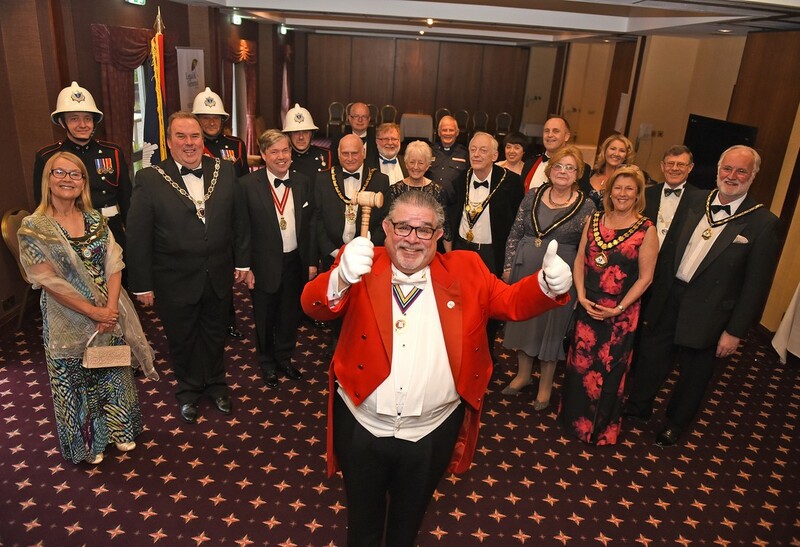 Eugene welcoming the Mayor of Milton Keynes and his consort for a Charity Ball. Getting Bride & Groom ready for the cutting of the cake. Eugene getting the Bride ready for her BIG speech. With the High Commissioner and Honorary Consul for Jamaica. Mr Wade C Lyn. CBE. See the famous Jamaican Patties. 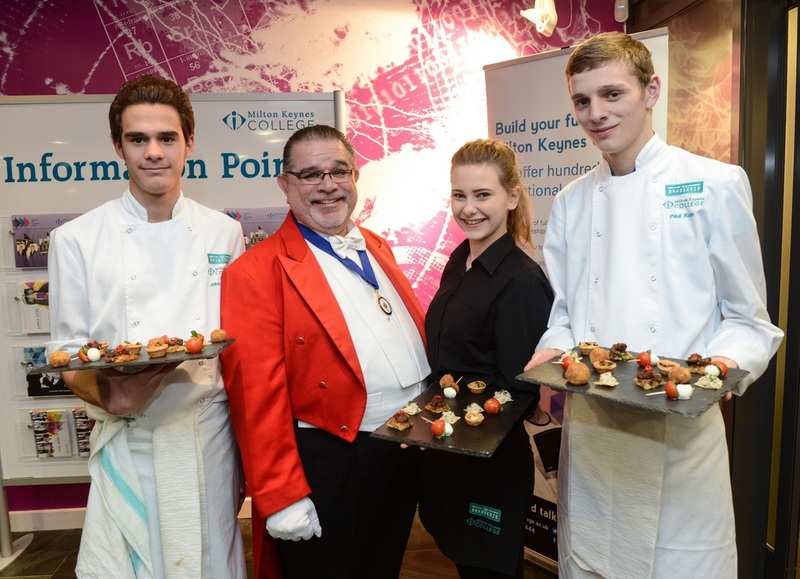 Hosting the the Student Chef of the Year aware ceremony. 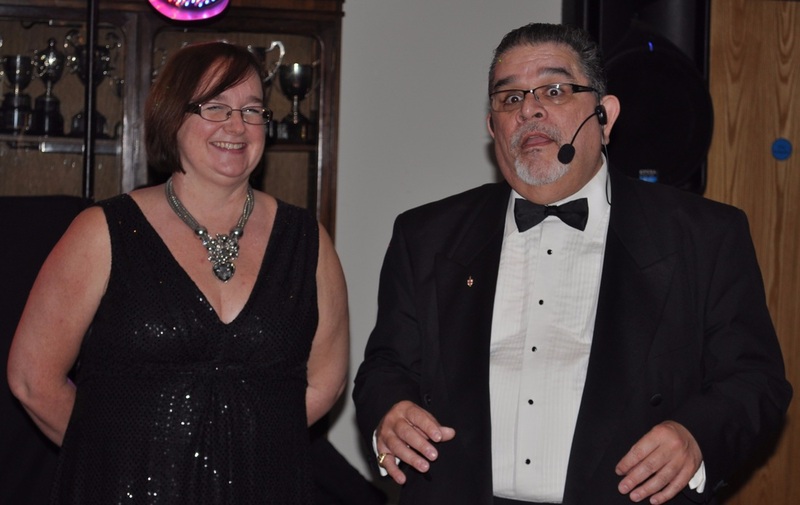 Guest speak at a charity fundraising event......a magic trick is just around the corner. Eugene bringing the Groom in to meet everyone. Briefing the Mayor of Milton Keynes for the evening ahead. 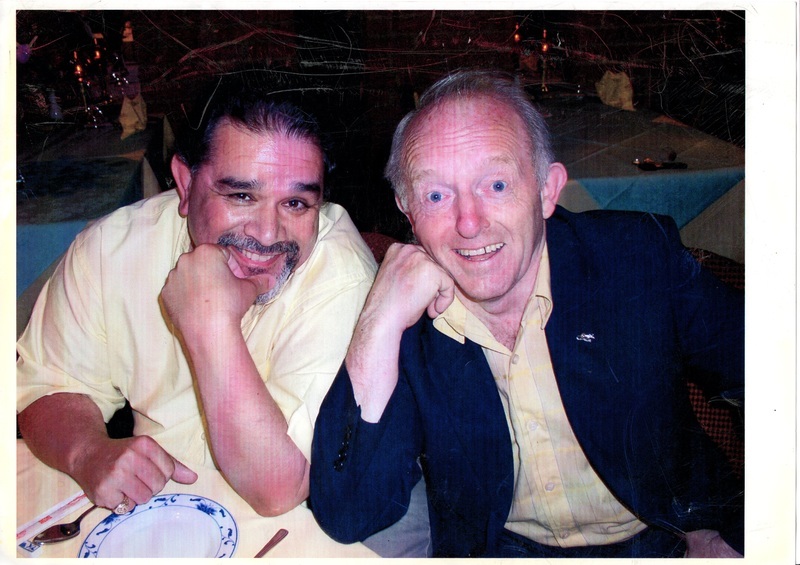 Eugene enjoying a meal out with good friend Paul Daniels. 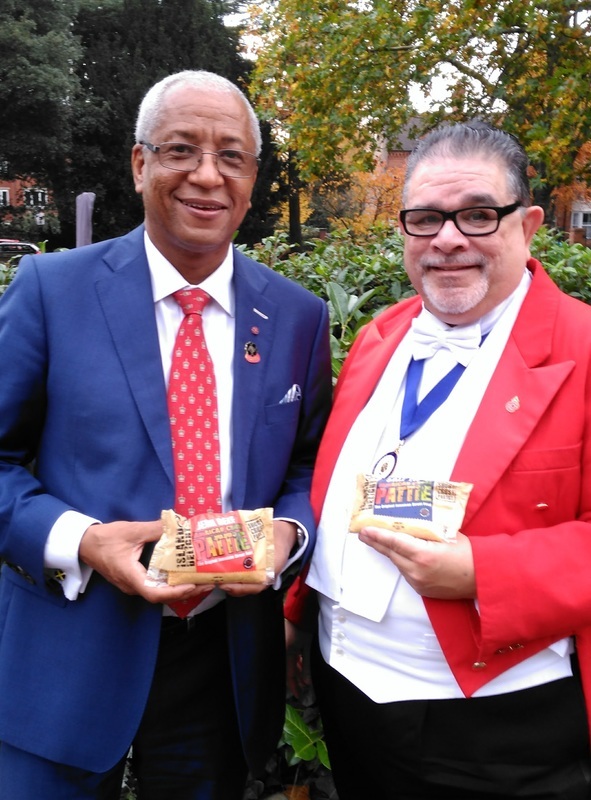 Put in stocks by the High Sheriff of Buckinghamshire and Alex Stanyer CEO of the Puzzle children's charity. Hosting the annual charity event. 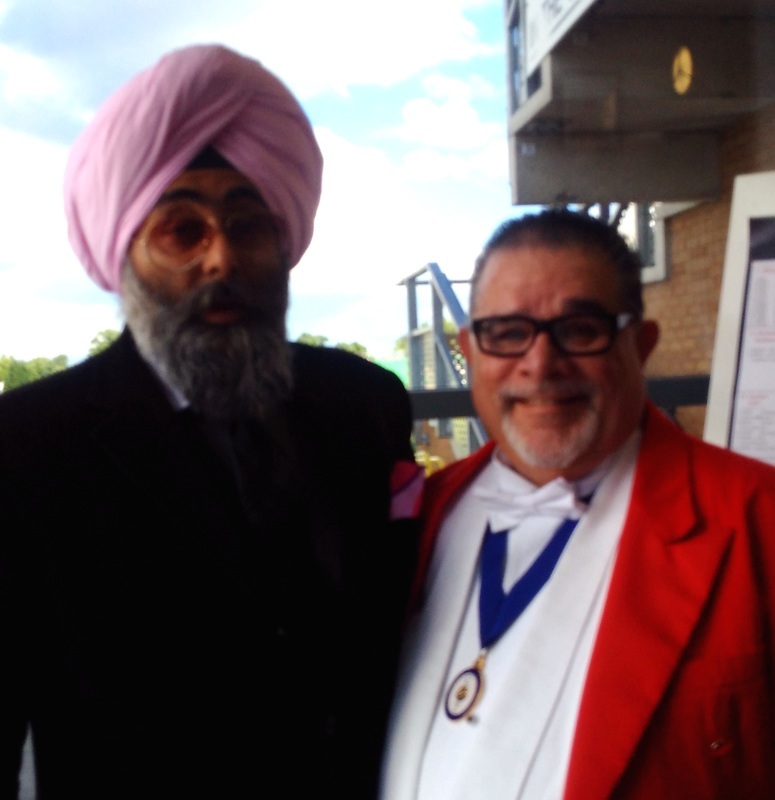 Hosting Celebrity Chef and TV presenter Hardeep Kohli at the 50th anniversary celebration of the Barford Tigers dinner. Introducing World Champion and Gold Medalist Derek Redmond. 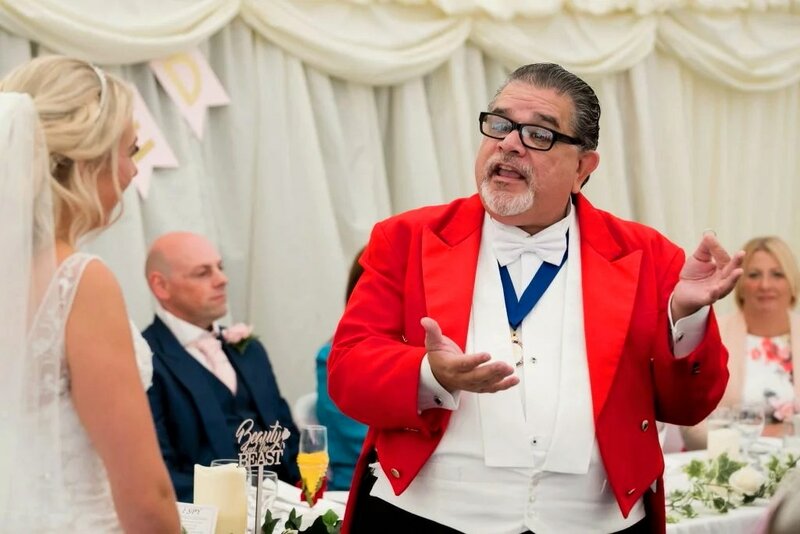 Eugene has 25 years experience as a corporate hospitality host and has been trained to the highest level as a professional Toastmaster. He is proud to be a member and Fellow of The Executive Guild of Toastmasters. 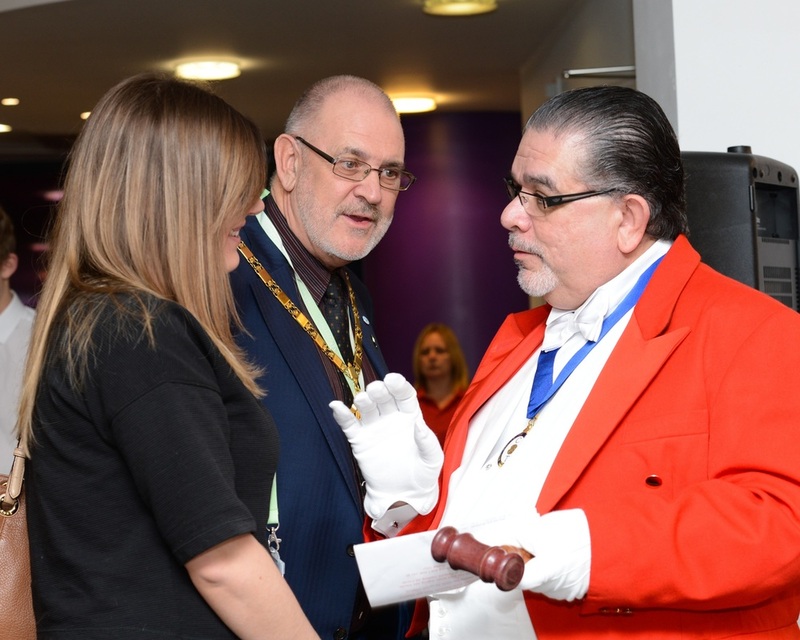 He is also a Funeral Celebrant and graduated as an Independent Funeral Celebrant at The Fellowship of Professional Celebrants in partnership with The UK College of Celebrancy. He officiate's on Civic occasions, Charity Banquets, Corporate Receptions and is a 'Hospitality Hosts' at Award Ceremonies, Business Dinners, College Graduations. English Weddings - including Civil Partnership. 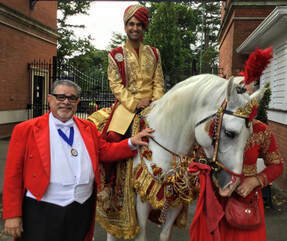 Asian Weddings - trained to the highest in Sikh, Hindu Punjabi, Hindu Gujarati and Muslim weddings. Graduation Days - College & Universities. Masonic Events - Ladies Festivals, White Tables. Family Events - Christenings, Anniversaries & Birthdays. Club Events - Rotary, Round Table, Probus and Lions. Corporate Functions - Conferences, Product Launches, Hospitality Events, Lunches & Dinners. Civic functions - Banquets and Receptions. Charity events - Auctions, Gala Balls, Fashion Shows. Entertainment and Media - Dinner Dances, Gala Nights, Sporting Events and Awards Ceremonies. Presenting the iHelp youth initiative to His Royal Highness the Duke of Kent of which Eugene is the Chairman. 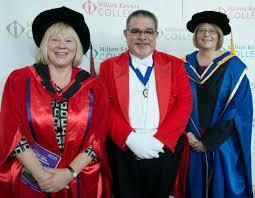 With the Dean and Vice Chancellor of Milton Keynes College before their annual graduation ceremony. 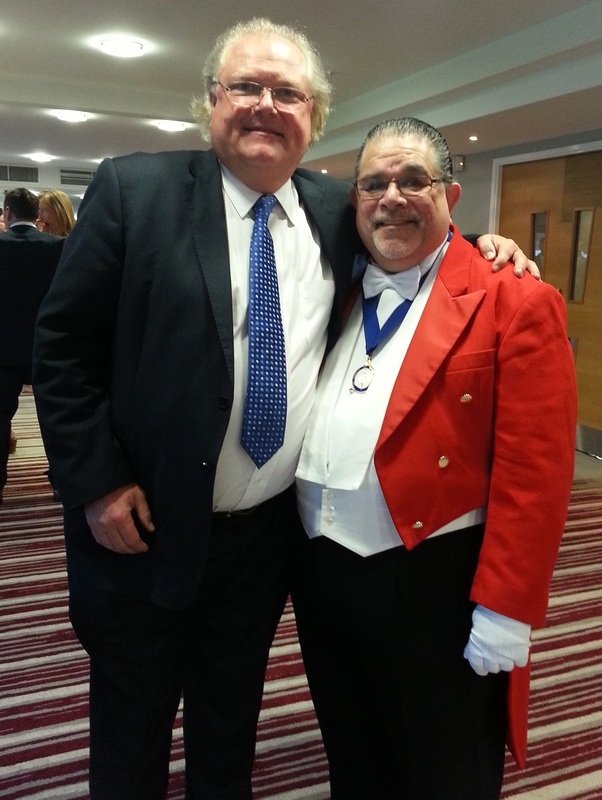 Eugene with Lord Digby Jones just before he introduced him at the Nifty Lifts global awards evening. Working at a fantastic wedding at Raymond Blanc's - 'La Manoir Au Quat Saisons'. 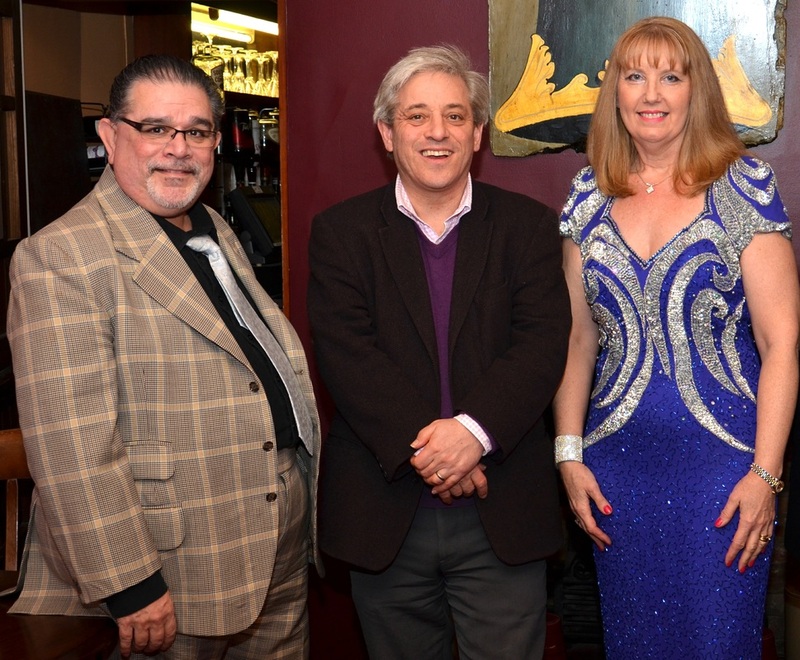 With the Rt Hon John Bercow - 'Speaker of the House of Commons' and Susan Coombs International Opera singer at a major charity fundraising event. 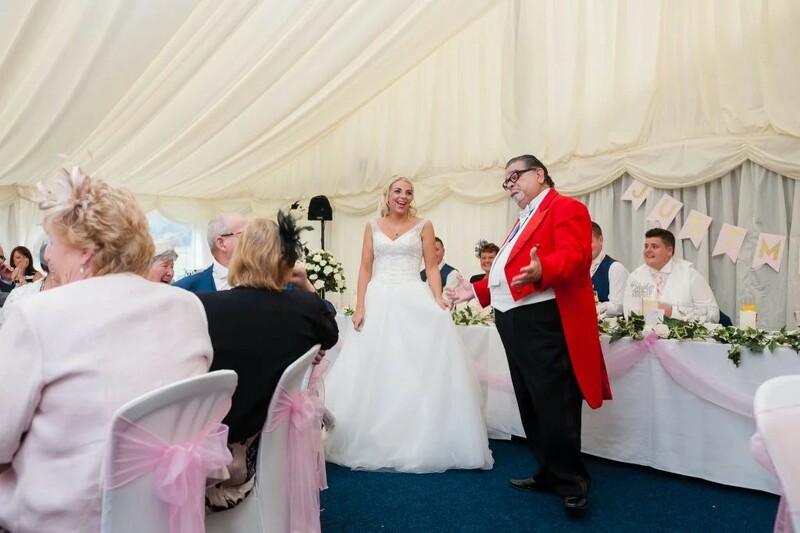 ​​Weddings, Corporate Events, Award Ceremonies, Charity Balls, Trade Shows, Fundraising.